Bill helps extraordinary leaders produce breakthrough results. 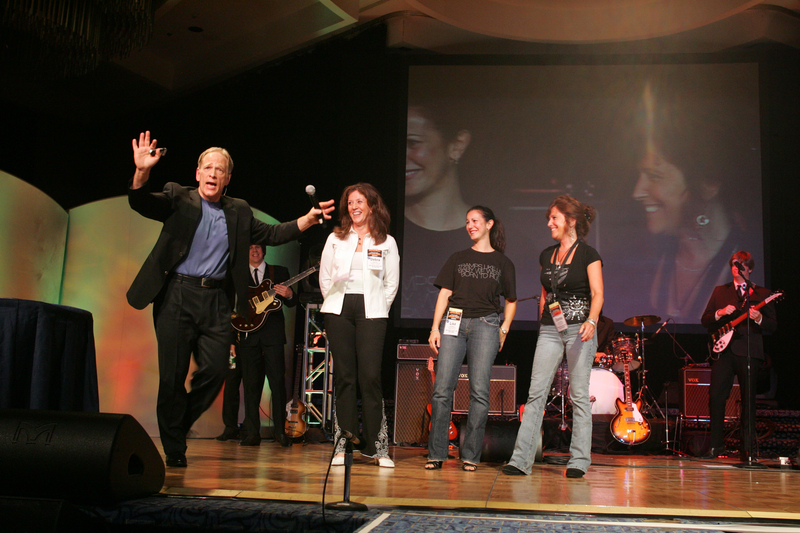 You get one-of-a-kind programs that your audience will never forget! Today Bill works with, and speaks for, orgainzations that want their people to play a bigger game and produce unreasonable results. He does this through his keynotes (always customized! ), workshops, books and articles, and training tools. For 15 years, Bill was the executive producer of Seatte’s legendary comedy TV show, Almost Live! (which also enjoyed a two and a half year run in national syndication on Comedy Central). Along the way, he won 29 Emmy Awards for his work as a producer, writer, and performer. More important, Bill led his team to 10 straight years of #1 ratings and more than 100 Emmy Awards of their own! THE 5 BEST DECISIONS THE BEATLES EVER MADE…AND WHY YOU SHOULD MAKE THEM TOO! What does a seriously award-winning team look like? What does it take to lead them? And, ultimately, what does it take for your team to really make it to the top? Why not find out-and have some fun along the way!-from one of the most successful teams ever? How would your organization be different if everyone stopped making excuses and started producing better results in every area of their lives? Not “later,” not “some day,” but now! Because when it’s showtime, all that matters is results. And in your business, as well as in your life, every day is showtime. Multiple Emmy Award winning TV producer Bill Stainton has discovered that whether you’re producing an award-winning TV show, an award-winning team, or an award-winning life, real results come down to three simple questions. What’s the show? A TV producer has to know, first and foremost, what kind of show he or she is producing. Is it a half-hour comedy or a 90-minute documentary? Likewise, you need to know what outcome you want to achieve-whether it’s for a specific project, your business in general, or your entire life. What’s the show? Who’s the cast? Success is not a solo operation. Just as a TV show needs a cast, you need to decide who you’re going to have on your team-short-term or long-term-to help you reach your outcome. Who’s your cast? Where’s the script? Without a script, a TV show is just a bunch of actors standing around in a TV studio. A script is a roadmap; it’s the game plan. Without a script, you’re leaving your success to chance; with a script, you’ve got a way to get there. Produce an award-winning script, and you’ll produce award-winning results. In today’s uncertain business environment, creativity and innovation are more important than ever. This truly is a time when “the next great idea” could change the course of an industry. And make no mistake about it: somebody is going to come up with “the next great idea.” The only question is, will it be you and your team, or will it be the competition? You CAN get more ideas—and better results—from your team! Multiple Emmy Award winning TV producer Bill Stainton knows how, because he did it with his team-week after week. So how, exactly, did he lead his team to 10 straight years of #1 ratings and more than 100 Emmy Awards of their own? And how can you get these kinds of results in your industry, with your team? Staying ahead of the competition requires innovative ideas-lots of them! This interactive and highly entertaining workshop will put your attendees in touch with their own unique sense of innovation and creativity. Using the tools of professional comedy writers, they’ll learn how to look at situations differently and see possibilities that remain hidden to others. This program is an ideal breakout session to complement any of Bill’s keynote presentations, and can be customized to fit any time slot from 30 minutes to 1 1/2 hours. that they ARE, in fact, innovative thinkers! 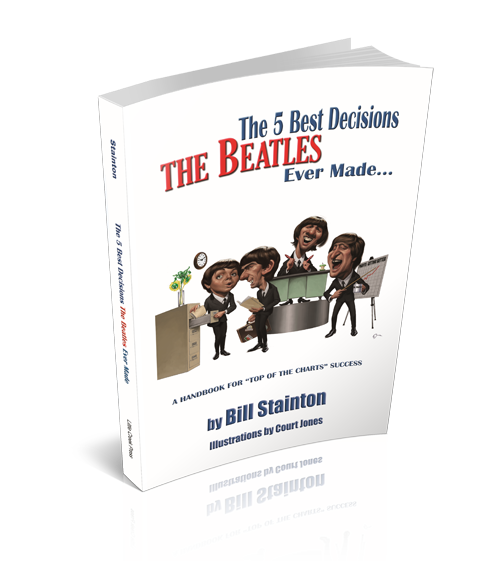 Bill is also the author of The 5 Best Decisions the Beatles Ever Made…a Handbook for “Top of the Charts” Success, and the co-author of Humor Us: America’s Funniest Humorists on the Power of Humor, both of which are available in quantity discounts to help drive his message home.